Whether you travel in your RV, camper or motorhome year-round or only during summer, we have quality RV mattress pads that will provide continuous protection for mattresses in your home away from home. Whether your need an RV Short Queen size mattress pad or RV bunk mattress pad, we have your needs covered. 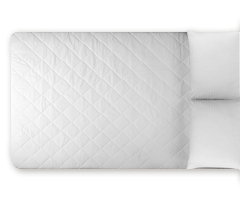 Shop our selection of Micro Fiber mattress pads today.